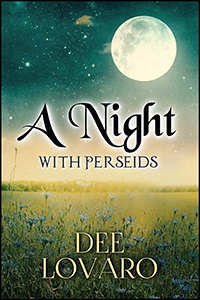 Dee Lovaro’s “A Night With Perseids.” Have you ever thought that you may have at one point in your life met your soul mate? Could you be in love with someone and not even realize it until years later? For Giovanna, the answer is yes. Constant flashbacks remind her of their past romantic encounters. But, with the pain and regrets, can she face this alone?